Please note the changed date for the attached competition. If you are after something a bit different and a day of interesting and varied Pétanque for all players come to the Club De Pétanque D’Adelaide on Saturday 24th of June. The competition, which will commence at 2pm, consists of 6 games to 13, 2 singles, a doubles and a triples before dinner, and another doubles and triples after dinner. Teams can either be nominated before the day, or will be nominated by draw into doubles and triples teams. Depending on numbers, there will be prizes for 1st, 2nd, highest ranked Veteran, Female, Junior and Newcomer. The cost, including dinner is $15. For more information or to nominate & for catering purposes , contact Tina at 0434 604 607 or tinastockley@gmail.com. 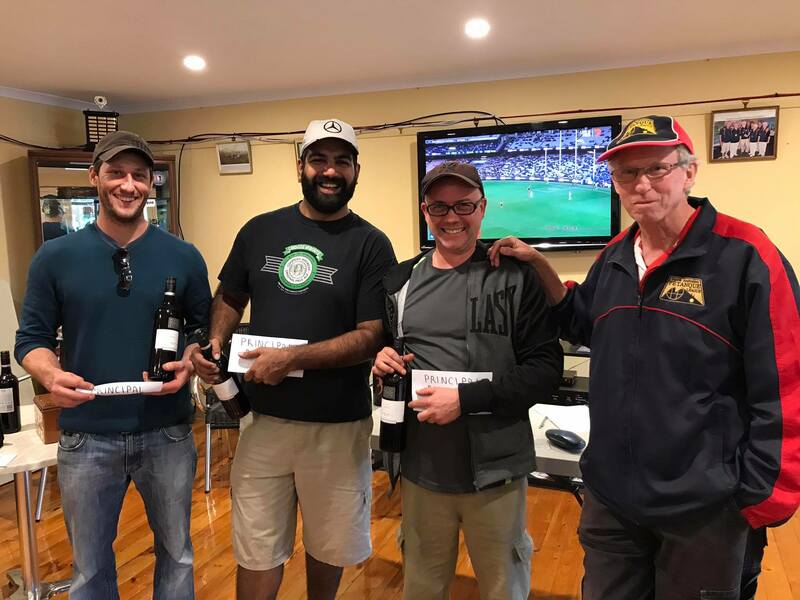 ‘Keeping the Tradition Alive’ was the theme for the 12th Annual Snake Cup at the Prospect Pétanque Club on 21 May 2017. The event is in honour of Jake McKee who we unfortunately lost in a car accident at 18 years of age. Jake was a prodigious pétanque talent who captained the Australian Pétanque Junior Team to the World Junior Championships in Lyon France in 2000. 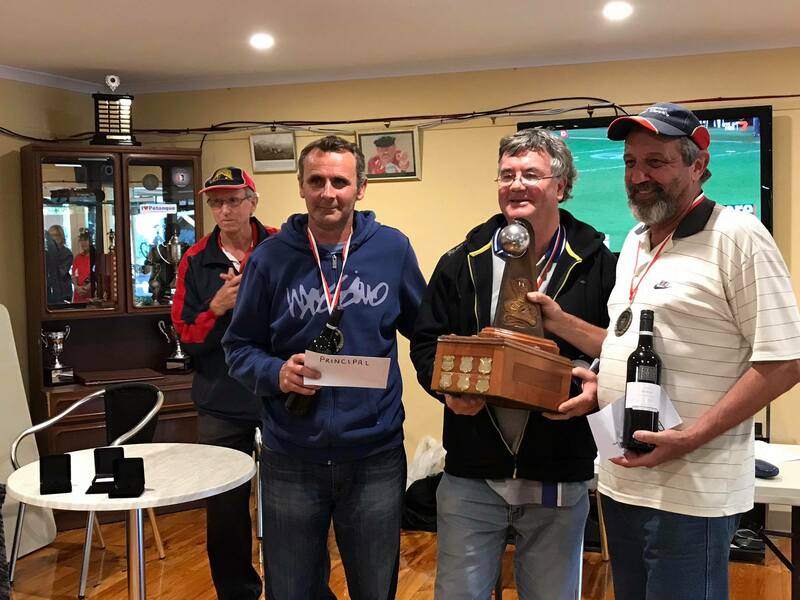 Thirty Six Players were involved in this years event including the ‘Cream’ of South Australian Pétanque, Australian Champions, State Champions, and Australian National Team Representatives. The standard of play was outstanding – in particular the Principale Final that went down to the wire, the last end was of incredible standard. The winners – Dominick Pierre, Thomas Heredia and Alain Rousse – played the most amazing final end every shot they played was of outstanding quality enabling them to surge to a great win. This Cup has a tradition of encouraging the various levels of Pétanque by all our players with prizes being awarded to the winners and runners up in each division. Principale: D.Pierre/ T.Heredia /A.Rousse defeated D.LeFer/S.Vaswani/l.Chazal 13-11. Consolante: L.Pujol/V.McBride/D.Ward defeated M.Frodyma/J. Jenkin/T.Palmer 13-9. Conviviale: M. Verdonk/G.Ashmeade/B.Williams defeated A.Pietsch/S.Dally/G.Karklins 13-3. A great day put on by the Prospect Club, lots of help behind the scenes, beaut food, great company, challenging Pétanque all round equals an outstanding day. Allan Sanderson for Prospect Pétanque. Round 5 of the Interclub competition was held at Prospect in fine and mild conditions. In the previous round we had seen something of a comeback by second-placed Club d’Adelaide, to keep them in contention, but this time around it was championship leader Eastern Suburbs who reasserted their dominance of this season’s competition.